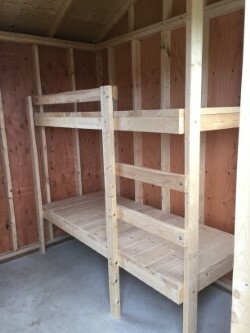 Each of our main Sub-Camp areas come with 2 bunk cabins. 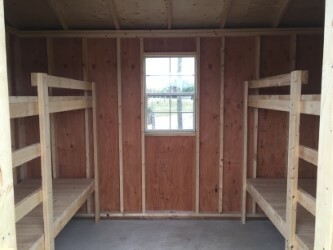 Each bunk cabin has 2 - 2 person bunk beds. These cabins are non-hydro and not heated.